Travelers Insurance is hitting the road. 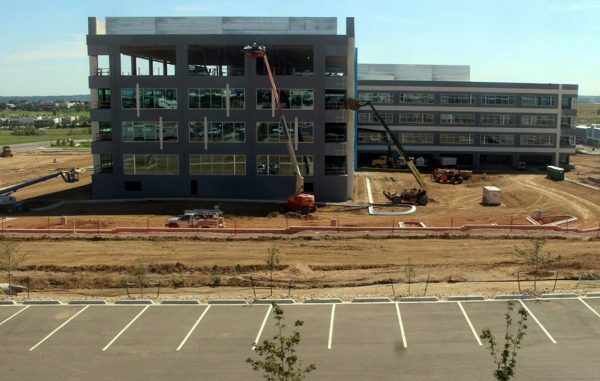 The New York City-based insurance giant has leased more than 140,000 square feet at the 58-acre Inova Dry Creek office park being developed by United Properties in Centennial. Mike Rooks with JLL represented Travelers and Newmark Knight Frank brokers Dave Lee, Jason Addlesperger and Mike Wafer represent United Properties at the INOVA Dry Creek office space. A Travelers spokesperson declined comment on the office lease. Inova Dry Creek is a 650,000-square-foot mixed-use campus under construction at Interstate 25 and East Dry Creek Road in Centennial. United Properties broke ground on the project as a speculative office development in 2015. United and equity partner Principal Real Estate Investors have sold a portion of the campus to apartment developer Wolff Co. In May 2016, the campus signed its first workspace tenant, Power Home Remodeling Group, in a planned flex building. In June 2016, Comcast announced it had leased Inova Dry Creek I, a 212,000-square-foot office building at 7250 S. Havana St. and the first of five planned office buildings to take shape on the campus. Inova Dry Creek II, a four-story office building on the property, has been pegged to come online this quarter. According to the Inova website, United Properties is marketing a 2.4-acre hotel or commercial pad site for sale and a 5.9-acre office or light industrial site for sale or as a build-to-suit project.